How are Inverters Normally Used? nverters are highly effective in protecting valuable belonging within a home during power cuts by offering emergency power backup to a wide range of accessories such as freezers, telephones, medical equipment and sumo pumps. Inverters also ensure power access to a wide range of electrical equipment that are used in our day to day lives such as cars, trucks, boats and RVs. There is a slight difference between inverter and digital UPS when it comes to switch over time. Digital UPS takes a shorter switch-over time span as compared to digital UPS. The former runs with the help of Digital Signal Processing Techniques(DSP) techniques for converting waves into Pure Sine waves rather than older methods such as Square Wave or Stepped Sine Wave. Pure Sine Waves are more suitable for use in appliances such as TV, fans, refrigerators, fans and TV. Inverters usually have two types of wave output-modified sine wave and true sine wave. Modified sine wave inverters are the most widely used and are comparatively cheaper as compared to their true sine wave counterparts. They are highly efficient and are suitable for use in home appliances. They are smaller in size in comparison to the other inverters which you may come across. True sine wave inverters are highly priced. They also deliver high-quality wave output on a consistent basis. They come with a high surge capacity and so they might exceed the rated wattage for a short span of time which is useful to start a number of appliances such as laptops, battery chargers etc. ACs also run using this type of inverters. 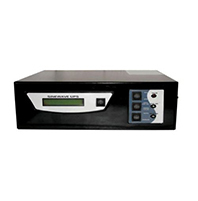 Inverters are widely used in home and remote sites. Lightweight inverters are ideally used in vans, cars, and mini-SUVs. Heavy duty inverters, on the other hand, are most suitable for trucks, boats, and RVs. One common mistake that buyers often make is regarding VA ratings and watt ratings as the same. Appliances that are used in homes such as lights, fans, bulbs and ACs consume power and are therefore rated in watts. However, inverters which are used for generating power without any sort of interruption come with VA ratings. VA is the output of voltage of the current that is generated by the current that the equipment supplies. Therefore, whenever you buy an inverter, don’t get duped by manufacturers into believing that both of them are the same. How Long Can Your Inverter Run Without Power? What Input and Output Voltages Do You Need? The DC input voltage of an inverter any value in the range above the 43-57V and between 40-65V are most suitable in homes. 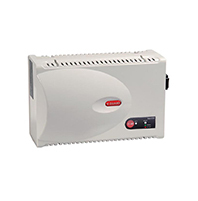 Ideally, inverters that have input voltages can endure overheating without any type of heating. One that you need to take note of is the fact that power consumption (current drain) increases once the driving voltage starts decreasing. When input voltage drops at your home from 230 V AC to 200 VAC, the electric appliances will consume a greater amount of energy. The inverter will have to be needed to ensure continuous single phase single wave output at 230V/50 Hz AC according to your requirement. It will be capable of delivering 6KVA at some power factor from unity to 0.8 lagging. Once the output gets completely energized, it will build up within a period of 5 seconds. You can set the inverter’s output at any value that is between 225 to 235 V. The device will need to be maintained within +/-2% of set value for input voltage between 42 to 57 V DC, variations in load power variation between unity and 0.8 lagging and load current variations between zero to 100%(full load). What Features Should You Look for in an Inverter? VA (Volt-Ampere) Rating- The rating is used for calculating the load which an inverter can take. For instance, an inverter can have a rating of 1000VA or 1500VA. auto-reset feature, audio alarm and short circuit protection can prove to be very effective for your inverter. Battery Charging Time- There are some models of inverters that indicate the time taken for the battery to get fully charged. Luminous, Crompton Greaves and G Solar are some of the brands that offer inverters which indicates the time taken for battery to get fully charged. Warranty-Make it a point to check the warranty period on the inverter that you plan to buy. It may be convenient for you to opt for an inverter and battery that belongs to the same brand so that you can have it serviced by the manufacturer. However, one thing that you should take note of is that the batteries of inverters require more maintenance than the inverters itself. Power consumption- Before you select any inverter, it is important to calculate a rough estimate of your home’s total power consumption. This is because if you have too many gadgets at home, it may not be possible for an inverter to support all of them at once. What Type of Batteries Should You Opt for? The batteries on inverters are usually of three types- lead acid batteries, tubular batteries, and maintenance free batteries. Lead acid batteries require daily maintenance. You need to check the electrolyte levels and refill them from time to time. Tubular batteries tend to be expensive but ensure high efficiency without lesser maintenance. They have a long lifespan. Maintenance free batteries as their name suggest require little or minimal care. 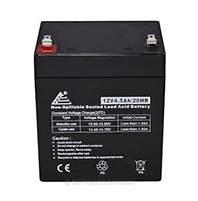 They are sealed lead acid batteries These batteries are also expensive and tend to have little scrap value. Battery size = Inverter rating in watts ÷ input voltage x usage time (hrs.). Ampere Hour is a unit of measurement of electrical capacity which the battery can store. The current is multiplied by time in hours which equals to ampere-hours. This is the most important measure which you need to focus upon while measuring an inverters battery. A current of 40 amps for one hour would be 40 AH at the hourly rate. Similarly, a current of 40 amps for 5 hours would be at 200 AH at the 5 hr. rate. AH ratings tend to vary on the basis of temperature and discharge. For instance, a battery which comes with 100 AH at 6-hour rating may be rated 125 AH at the 48-hour rate. The rating can change during usage because of the effects related to internal resistance and effects of temperature. The normal lifespan of inverters depends on a number of factors. This includes electric loads, high internal temperatures, direct lightning strikes, extremely high ambient temperatures and poor quality of local area network. Usually, well maintained inverters last up to 5 years. How Will You Select Inverters? While buying an inverter for your home, first and foremost, you need to focus on the power requirement. So, you will need to take into account all electrical appliances such as CFL, TV, fans etc. that you want to use even during power cuts. The power requirement refers to the addition of power consumed by different types of electrical equipment. Check the VA rating of the inverter which you intend to buy. If you find that it operates with complete efficiency, then the power required by the electrical appliances at your home and the power supplied by the inverter will be the same. However, we all that an indicator with 100% efficiency doesn't exist in real life. The normal ones that you will come across have an efficiency between 60-80%. This efficiency is also known as power factor of an inverter and is the ratio of power needed by the appliances in order to provide the power supplied by the inverter. The power factor of the majority of inverters is usually between 0.6-0.8. The normal formula that you will need to apply is VA=Power Requirement/Power Factor. The average value of power factor/efficiency is regarded as 0.7. 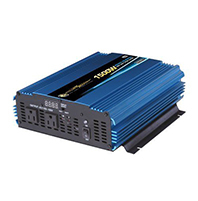 Inverters with 800VA are available in the market. So, an inverter with 800 VA would be the best choice for your home. Another area that you will need to pay a good deal of attention to is the inverter’s battery. Another area that you will need to check out is the battery of the inverter that you are opting for. The battery is the lifeline of an inverter. The battery capacity is one of the most important things that you will need to pay attention to. The battery capacity is the deciding factor for backup hours. It is a measurement in Ah (Ampere hours). You will come across batteries that come with the capacity of 100 Ah, 150 Ah etc. in the market. So, how would you decide which one you would require? In order to find that out, you will need to perform a reverse calculation. During the installation process of the inverter, you will require a number of materials such as batteries, a shelving unit, battery encloser, fuse and fuse holder. The tools that will prove to be effective during the process of installation include a head screwdriver, socket wrench, flat head screwdriver, electrical tape, utility knife, superglue, Allen wrench and a wire/cable cutter. At a first step, you will need to assemble the shelving unit and ensure that it fits the space which is next to inverter. But remember one thing. The assembled system will be very difficult for you to move. Therefore, you will need to make sure that you don’t have to move it once you have installed everything. Ensure that the battery enclosure and inverter/charger fits within the shelves of the shelving unit. Following this, you will need to prepare the lead cables. The lead cables which are long, black cables which come with a battery enclosure, which will connect your batteries with your inverter. They come with ring terminals on each end which you can use for bolting the cable to the unit. But before, connecting them, you will have to modify them. First and foremost, you will need to cut the long red cable to about ¾ of the way from the lower end. Once you do that, a strip around a ½ inch of the insulation from each of the cut ends. Then, cut the small ring terminal off the black cable’s end. Then strip it in the same manner as you would by stripping the red cable. Wrap the heat shrink tubing to the stripped end of both the cables. This will help you in ensuring that no short circuit takes place when you complete the installation. Once you do that, remove the battery enclosure’s cover and remove the wires and cables which come with it. Do away with the top shelf from the shelving unit and put the empty enclosure whose top has been removed within the middle shelf. Connect the short black cable with the negative terminal which is farthest from the openings of the battery enclosure. The process will need to be replicated. First you will need to put the ring terminal down, followed by flash washer, lock washer and bolt. First and foremost, you will need to thread the long black cable through the battery enclosure’s opening end which has a negative mark with the ring terminal inside the battery enclosure and the stripped end outside it. Connect the short black cable’s free end with that of the black lead cable which you entered through the other battery’s negative terminal’s hole. Then, repeat the process of putting the ring terminals down first, followed by the flat washer, then the lock washer and the bolt. It is essential for you to connect the negative terminal of the battery to the other’s positive terminal. Therefore, you will need to be very cautious. At the next step, connect the short red cable with the positive terminal of the battery which is the farthest from the battery enclosure’s openings. While doing so, you will need to put the ring terminal down first, and then the flat washer, lock washer and bolt serially. Then, thread the long red cable through the opening of the battery enclosure which has a positive mark with the ring terminal within the battery enclosure and fuse to the outside. After you do that, connect the free end of the short red cable with the red lead cable which you thread through hole of the other battery’s positive terminal. Then, repeat the process of putting the ring terminals down first, followed by a flash washer, dishwasher and then the bolt. You will need to be very cautious while connecting the positive terminal of a battery with the other’s negative terminal. Cross check your connections and then place the red plastic terminal covers which you obtained with the battery enclosure over the ‘+’ battery terminals. You might need to cut additional openings in the terminal cover with your utility cover so as to ensure that they fit tightly. If you don’t have terminal covers, then utilize heat shrink tubing over each of the battery terminals. Then, place the cover on the battery enclosure. Connect the short black cable with the negative terminal which is farthest from the openings of the battery enclosure. The process will need to be replicated. First you will need to put the ring terminal down, followed by flash washer, lock washer and bolt. First and foremost, you will need to thread the long black cable through the battery enclosure’s opening end which has a negative mark with the ring terminal inside the battery enclosure and the stripped end outside it. Verify your connections and before placing the red plastic terminal covers which you obtained with the battery enclosure over the ‘+’ battery terminals. Secure it with the screws that you took while removing them. Put the top shelf over your shelving unit, and then install the charger inverter on it. The next step will involve attaching leads to the inverter. At the initial stage, you will need to remove the electrical tape from the black leads stripped end and connect it with inverter’s negative terminal. Once you do that, you will need to connect the red lead’s stripped end to the inverter’s positive terminal. One thing that you shouldn’t miss out at this stage is that the black cable should be connected to the ‘’- “terminal while the red cable with the positive terminal. You might come across sparks on touching the red lead to the terminal on the inverter. This is quite normal as the circuit between batteries and inverter is under completion. If you don’t experience it at this stage, then something may be wrong somewhere. At the next step, you will need to connect the temperature sensing cable with the jack which is located on the back of the inverter. It is labeled as ‘’remote temperature’’. The best place for installing the temperature sensor is the area close to the negative terminal. There are a few dip switches on the inverter’s front panel which control the major settings which have an impact on the way it works. You will need to take the help of the user manual to detect to find the exact manner in which the settings will need to be selected. After the configuration process of the inverter is complete, you will need to plug the inverter within the outlet wallet. You may hear a slight humming noise from the unit after the batteries start charging. This humming sound will stop once the batteries get fully charged. Once the charging is complete, plug the sump pump within your inverter. esting is a must so as to ensure that your inverter functions perfectly. The most effective way of testing your system is to apply a hose or bucket to fill the sump with sufficient water till it activates. Perform this twice, once after plugging the inverter into the utility power and then again after the inverter is disconnected from utility power. This will make the sump pump run using the batteries. In case the sump pump operates normally in both situations, then it will indicate that you have been successful in installing the battery backup system. Testing is a must so as to ensure that your inverter functions perfectly. The most effective way of testing your system is to apply a hose or bucket to fill the sump with sufficient water till it activates. Perform this twice, once after plugging the inverter into the utility power and then again after the inverter is disconnected from utility power. This will make the sump pump run using the batteries. In case the sump pump operates normally in both situations, then it will indicate that you have been successful in installing the battery backup system. The battery is the most important component of the inverter that requires continuous maintenance to remain in the best working condition. If you have children at home, then it is wise to keep the inverter at a place which is not within their reach. Batteries that do not require any type of maintenance will need to be taken care of to ensure that no rusting takes place in the terminals. In order to clean the terminals of a battery, you will first need to switch off the inverters power supply. Then, remove the battery cables from the terminals. You will need to take a high level of precaution while removing terminal connections so as to make sure that you are not injured by any shorting and sparks. If the level of corrosion on the terminals is excessive, then you may find it difficult to remove them. If you are faced with such a situation, then don’t apply too much pressure through tapping as the terminal can break internally. Instead, use a cup of boiling water and add a 2-3 spoon of baking soda into it. Pour the solution into the battery terminals. Then, wait for a while before removing the terminals and removing the connections. Never make the mistake of overloading an inverter. It will have an adverse impact on the battery as well as the performance of the device. Avoid connecting the inverter with appliances that need high starting loads such as drilling machines, washing machines, and microwaves. You can run power energy based home appliances like ACs, heaters, refrigerators etc. with the help of high energy inverters but keeping convenience in mind, you should opt for generators with high load requirements for domestic use.